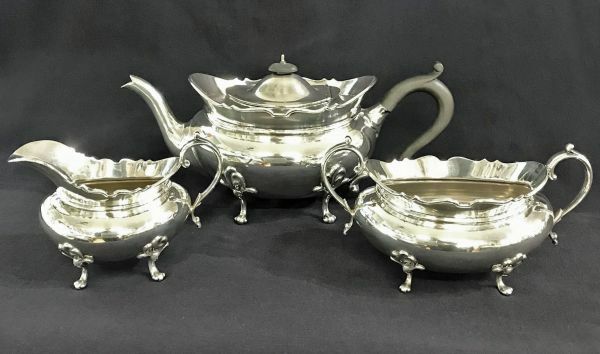 Antique sterling silver 3 piece tea set, circa 1910-20. The teapot is marked Ryrie, the cream and sugar are marked Birks. 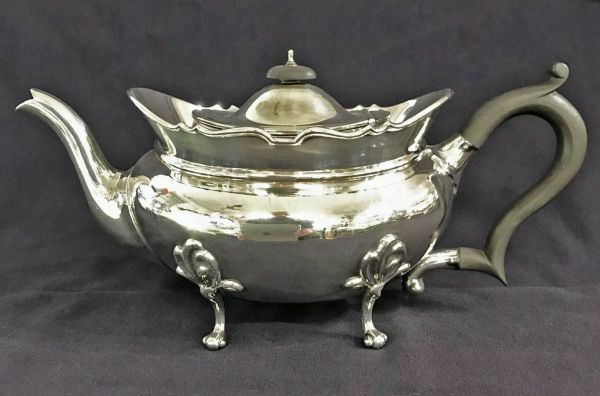 The teapot is 5 1/2” high, 11” spout to handle. 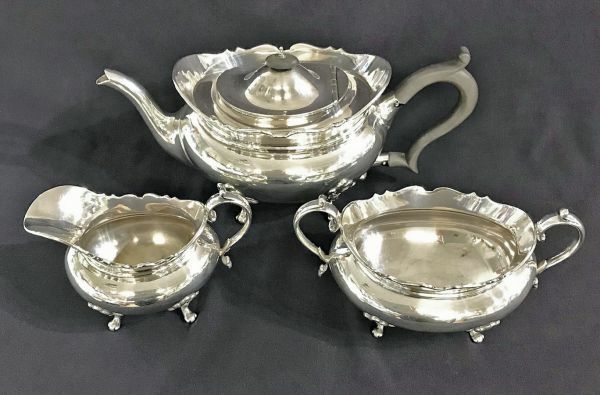 $2495 for the 3 piece set.